Does your mouth water and an immediate craving sets in upon the mention of homemade chocolate chip cookies? I know this happens to me! These delectable morsels were often times a treat that I would come home to from school on numerous occasions. 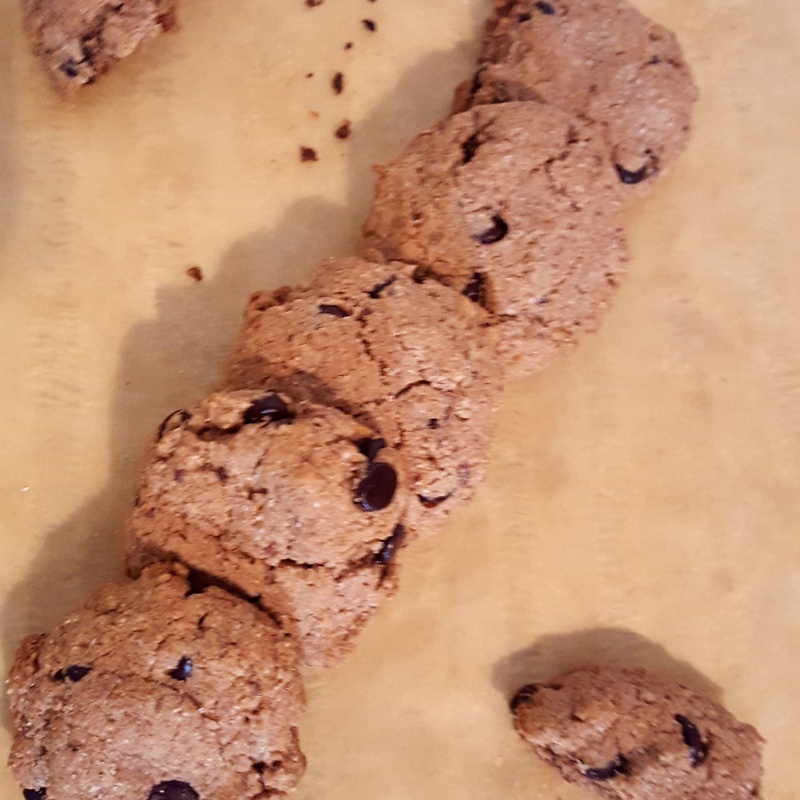 Now, 40 years later, we have come to realize that the ingredients that make up the traditional cookie are not that good for us from a nutritional perspective. The time has come for a chocolate chip cookie makeover. Try substituting tiger nut flour for the traditional white flour. It is antioxidant rich and despite its name, it is nut free and gluten free. It derives from a wild tuber which, by the way, is a good source of fiber which keeps you full and eliminates over indulging. Try adding some tahini (ground sesame seeds) which are high in healthy fats and amino acids (protein). The white sugar can be swapped out for maple sugar which is derived from the sap of the maple tree and is rich in minerals. Try using chocolate chips which are sweetened with a little stevia or monk fruit in place of sugar. This recipe can be made without the sugar for individuals with diabetes. If you are vegan, try swapping out the egg for ground flax and filtered water. (ratio: 3 tablespoons water to 1 tablespoon ground flax meal). Both tiger nut flour and tiger nuts can be purchased at quality health food stores. The simple recipe is on the back of the package. Feel free to add some walnuts or unsweetened coconut flakes. Enjoy!